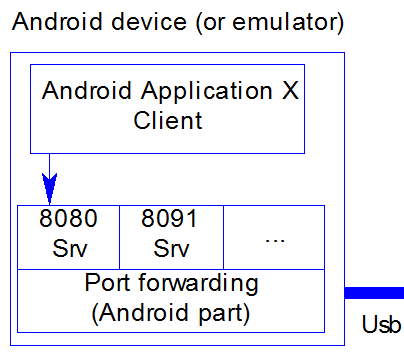 The Android architecture does not allow to start communication from the Android to the host through the USB cable.The opposite is possible, using the Google "Android Debug Bridge" (ADB in short). 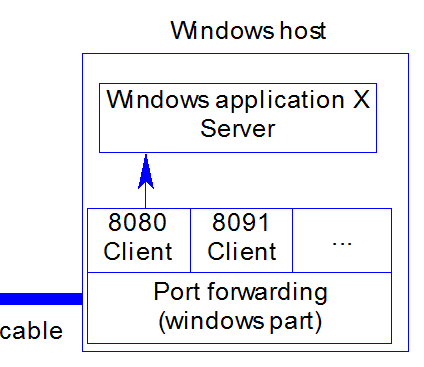 This tool will act as a tunnel between the Android client application and the host server. It is a software implementation of a router doing IP port forwarding.